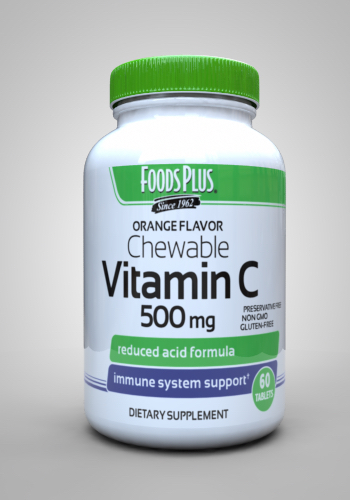 Our Chewable Vitamin C formula provides you with 500 mg of Vitamin C in each tangerine flavored tablet. 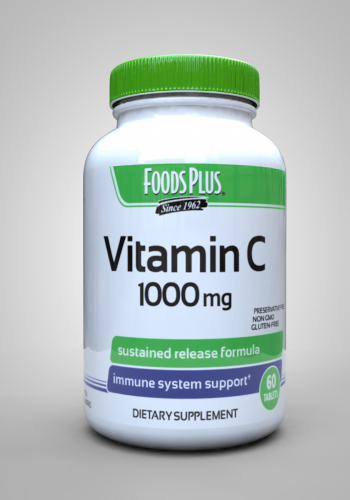 Vitamin C is an antioxidant that helps support the immune system and helps neutralize free radicals in the body. Percent Daily Values are based on 2,000-calorie diet. 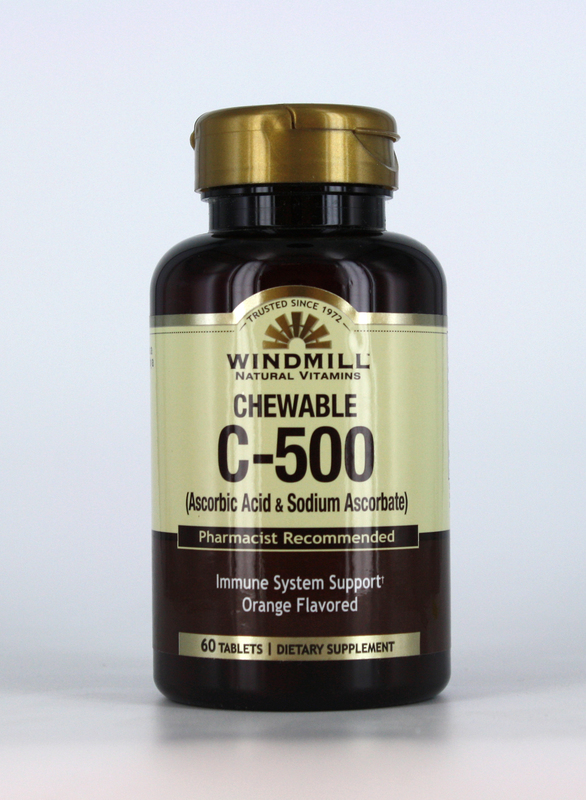 Other Ingredients: Sucrose, stearic acid, natural and artificial flavors, turmeric color, orange juice crystals, silica, magnesium stearate, citric acid and carmine color. 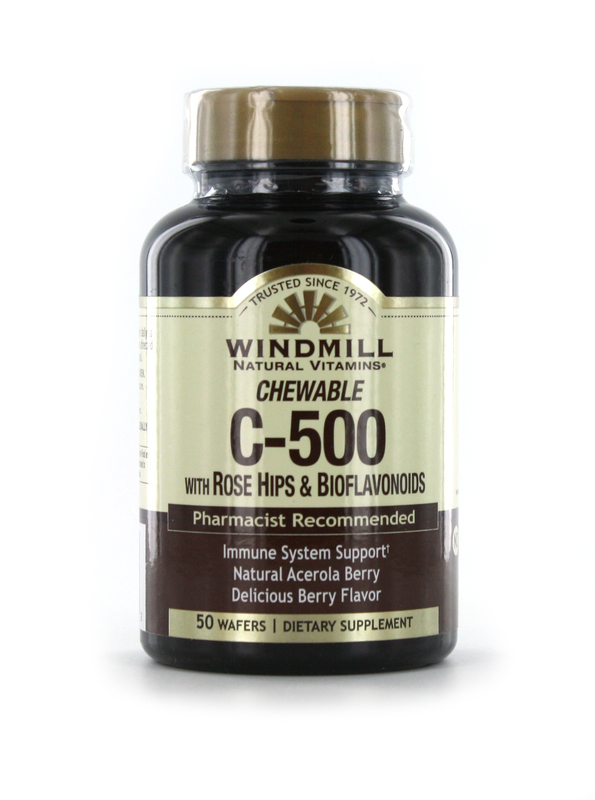 SUGGESTED USE: Chew one tablet daily as a dietary supplement or as directed by a healthcare professional.